The faces behind the masks are anonymous both in name and in nature. 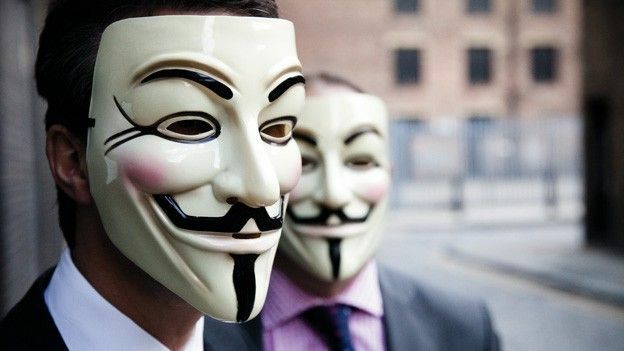 The Guy Fawkes disguises, inspired by Alan Moore's comic book-turned-film V for Vendetta, in which a similarly masked vigilante fights an authoritarian state, symbolise instant affiliation to a group that has been defined in turn as “ hacktivists”, “web vigilantes” or simply an “internet gathering”. As the hacking collective jump back into action after the US Department of Justice shuts down Megaupload.com, we take a snapshot look at the greatest hits of Anonymous.